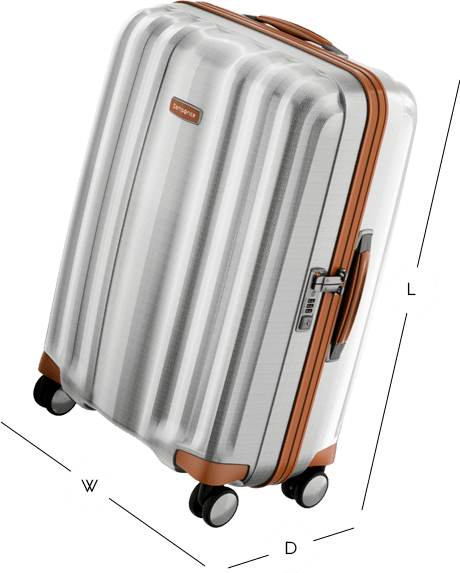 Rolling Luggage's list of suitable cases. cabin luggage dimensions may be subject to change. Different airlines have varying size and weight rules for hand luggage. Some might charge extra fees if your cabin luggage is too large or too heavy, or you might be asked to check your bag into the plane’s hold. If all of this sounds confusing, don’t worry! Rolling Luggage is on hand to help you make the right choice for your plane trip so your journey is as hassle free as possible. Rolling Luggage has a number of options per airline so you’re sure to find something which suits you.